The methodology for the Access to Seeds Index is currently being reviewed, informed by feedback gathered in meetings with farmers, companies, governments and other actors. The biggest change will be the extended coverage of regional seed companies. The Regional Access to Seeds Index in Eastern Africa demonstrated the vital role regional companies play in reaching smallholder farmers. Landscaping studies are being conducted to evaluate the feasibility of Regional Indexes for Western Africa and South and Southeast Asia. The results of the first Access to Seeds Index also enabled an evaluation of the added value of each indicator. One of the goals was strengthening focus on relevant topics and reducing questions, where possible. Although stakeholder feedback also produced several new indicators, the total number has been brought down to 57, which is a reduction of 15 indicators. The revised methodology will become available on our website for another round of feedback before the Expert Review Committee gathers in November for its final evaluation. The data collection of the next Access to Seeds Index is scheduled to start in the beginning of 2018. 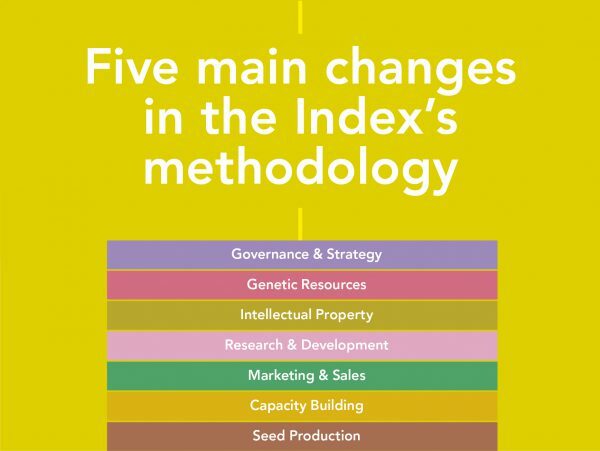 An overview of the five main changes in the methodology of the Access to Seeds Index can already be found here.